(SOURCE) VATICAN CITY — Here are some highlights from Pope Benedict XVI’s new book, “Jesus of Nazareth: Holy Week — From the Entrance Into Jerusalem to the Resurrection." In the foreword to Part One, I stated that my concern was to present “the figure and the message of Jesus”. Perhaps it would have been good to assign these two words — figure and message — as a subtitle to the book, in order to clarify its underlying intention. Exaggerating a little, one could say that I set out to discover the real Jesus, on the basis of whom something like a “Christology from below” would then become possible. The quest for the “historical Jesus”, as conducted in mainstream critical exegesis in accordance with its hermeneutical presuppositions, lacks sufficient content to exert any significant historical impact. It is focused too much on the past for it to make possible a personal relationship with Jesus…. I have attempted to develop a way of observing and listening to the Jesus of the Gospels that can indeed lead to personal encounter and that, through collective listening with Jesus’ disciples across the ages, can indeed attain sure knowledge of the real historical figure of Jesus. There has been a noticeable reduction in the wave of theologies of revolution that attempt to justify violence as a means of building a better world — the “kingdom” — by interpreting Jesus as a “Zealot”. The cruel consequences of religiously motivated violence are only too evident to us all. Violence does not build up the kingdom of God, the kingdom of humanity. On the contrary, it is a favorite instrument of the Antichrist, however idealistic its religious motivation may be. It serves, not humanity, but inhumanity. But what about Jesus? Was he a Zealot? Was the cleansing of the Temple a summons to political revolution? 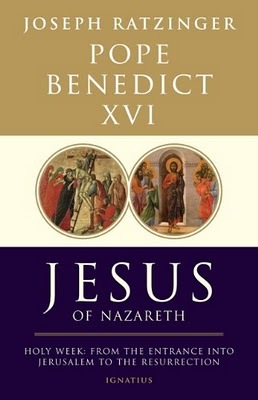 Jesus’ whole ministry and his message — from the temptations in the desert, his baptism in the Jordan, the Sermon on the Mount, right up to the parable of the Last Judgment (Mt 25) and his response to Peter’s confession — point in a radically different direction, as we saw in Part One of this book. No; violent revolution, killing others in God’s name, was not his way. His “zeal” for the kingdom of God took quite a different form. “Eternal life” is not — as the modern reader might immediately assume — life after death, in contrast to this present life, which is transient and not eternal. “Eternal life” is life itself, real life, which can also be lived in the present age and is no longer challenged by physical death. This is the point: to seize “life” here and now, real life that can no longer be destroyed by anything or anyone. The New Testament message is not simply an idea; essential to it is the fact that these events actually occurred in the history of this world: biblical faith does not recount stories as symbols of meta-historical truths; rather, it bases itself upon history that unfolded upon this earth (cf. Part One, p. xv). If Jesus did not give his disciples bread and wine as his body and blood, then the Church’s Eucharistic celebration is empty — a pious fiction and not a reality at the foundation of communion with God and among men. This naturally raises once more the question of possible and appropriate forms of historical verification. We must be clear about the fact that historical research can at most establish high probability but never final and absolute certainty over every detail. If the certainty of faith were dependent upon scientific-historical verification alone, it would always remain open to revision. 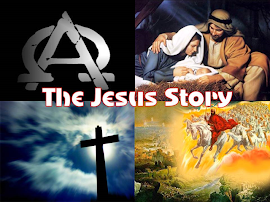 Through the message that he proclaimed, Jesus had actually achieved a separation of the religious from the political, thereby changing the world: this is what truly marks the essence of his new path…. Now we must ask: Who exactly were Jesus’ accusers? Who insisted that he be condemned to death? We must take note of the different answers that the Gospels give to this question. According to John it was simply “the Jews”. But John’s use of this expression does not in any way indicate — as the modern reader might suppose — the people of Israel in general, even less is it “racist” in character. After all, John himself was ethnically a Jew, as were Jesus and all his followers. The entire early Christian community was made up of Jews. In John’s Gospel this word has a precise and clearly defined meaning: he is referring to the Temple aristocracy. The Christian faith stands or falls with the truth of the testimony that Christ is risen from the dead. If this were taken away, it would still be possible to piece together from the Christian tradition a series of interesting ideas about God and men, about man’s being and his obligations, a kind of religious world view: but the Christian faith itself would be dead. Jesus would be a failed religious leader, who despite his failure remains great and can cause us to reflect. 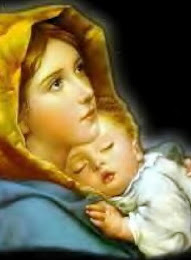 But he would then remain purely human, and his authority would extend only so far as his message is of interest to us. He would no longer be a criterion; the only criterion left would be our own judgment in selecting from his heritage what strikes us as helpful. In other words, we would be alone. Our own judgment would be the highest instance. Only if Jesus is risen has anything really new occurred that changes the world and the situation of mankind. Then he becomes the criterion on which we can rely. For then God has truly revealed himself. Naturally there can be no contradiction of clear scientific data. The Resurrection accounts certainly speak of something outside our world of experience. They speak of something new, something unprecedented — a new dimension of reality that is revealed. What already exists is not called into question. Rather we are told that there is a further dimension, beyond what was previously known. Does that contradict science? Can there really only ever be what there has always been? Can there not be something unexpected, something unimaginable, something new? If there really is a God, is he not able to create a new dimension of human existence, a new dimension of reality altogether? Is not creation actually waiting for this last and highest “evolutionary leap”, for the union of the finite with the infinite, for the union of man and God, for the conquest of death? Throughout the history of the living, the origins of anything new have always been small, practically invisible, and easily overlooked. The Lord himself has told us that “heaven” in this world is like a mustard seed, the smallest of all the seeds (Mt 13:31-32), yet contained within it are the infinite potentialities of God. In terms of world history, Jesus’ Resurrection is improbable; it is the smallest mustard seed of history. … And yet it was truly the new beginning for which the world was silently waiting.